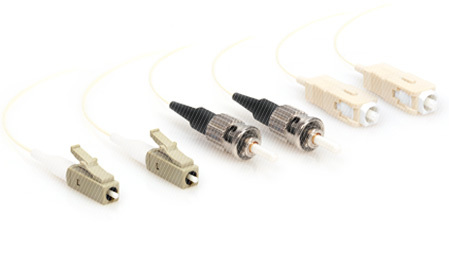 Ideal to attain a high quality performance on you final link, the Optronics Fiber Optic Pigtales are designed toreach a minimum insertion loss, with various types of fiber optic terminations such as SC, FC, ST, LC. The Optronics Fiber Optic Pigtail with connector side is used to link the equipment, while the other side of the pigtail is melted together with the fiber cable. The connector termination might be PC, UPC or APC, according to your needs. 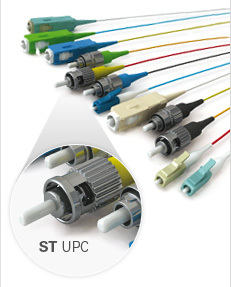 You can count on a variety fiber optic terminations such as SC, FC, ST, LC, etc. Choose the type of polish too. Pigtails can be used to transition from indoor to outdoor cable by a fusion splicing fiber.